Ah, the lovely TBR list! I've got some awesome books in store, and I cannot WAIT to read them! First up: the LOVELY Miss Katie Klein, author of The Guardian (which if you follow my blog you will know I absolutely loved) has a new book out! YAY! Omg, too excited for words. I was nearly giddy when I discovered the happy news. Still, Jaden can't shake the feeling that there's more to Parker than he's letting on. He's hiding something from her, and discovering the truth means reconciling the Parker she's grown to love with the person he really is. Because it's possible that his life inside the classroom—everything Jaden knows—is one, massive lie. 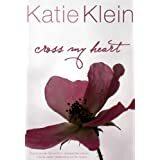 CROSS MY HEART, told from Jaden's point of view, is a 76k-word/300-page contemporary romance for young adults. Bonus features include the official playlist and an interview with the author. 2. I also named a character Jaden. (Katie--we HAVE to stop doing this.) But my Jaden was a boy, oddly enough. For Princess Miya Black, 'home' is Clover Island, a tiny dot of a place not even named on most maps. Founded fifteen years ago by her parents, ex-pirate Tomas "Boots" Black and ex-princess Lilith "Lily" Brightburn, it's a place for second chances and new beginnings. It's there that Miya was born, there she grew up, and there she now lives, spending her days riding with her best friend, practising swordsmanship with her fake uncle, sailing with her father, and avoiding book lessons with her mother. To Miya it's the best place in the entire world, and she knows how lucky she is to have it. So when her home is threatened Miya doesn't just sit around around sulking. 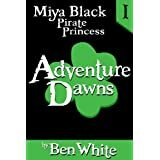 She's the princess of Clover Island, with the blood of pirate legends running through her veins, and she'll do whatever it takes to protect her kingdom. 1. PIRATES. I. Love. Pirates. Obsessively. 2. I love the name Miya. It sounds so pretty. And yet she's a PIRATE. Win. Skye Williams knows everything there is to know about mistrust: Dad skipped out when she was five, leaving Mom with an angry daughter and an upside-down mortgage. Then there were the boyfriends—at least a dozen—hot on his heels and hot for her mom, none of whom stuck around long enough to figure out Skye hated them—hated the underage toys they brought as bribes and the way they looked at her, speeding past with the same distaste they would have for a yellow traffic light. And now this Warren Jacobs has shown up to sweep Mom off her feet—and all he’s brought with him is a crummy, dog-eared book. She doesn’t even read! How can Mom even like this guy, much less trust him? He’s just another loser with a capital L.
But Warren’s not the only concern rocking Skye’s world. Devin Abbott, a guy she’s known since kindergarten, has changed. Almost at once, he’s become this tall, broad-shouldered guy with dark hair and easy eyes she might date—if he hadn’t always been her best friend. Skye swears there’s nothing between them, but everyone else thinks differently. Devin doesn’t act the way he used to, especially when Kellin Morgan, senior quarterback, asks Skye out. Flattered, she accepts, and, Devin sulls up—and he isn’t the only one. Kellin’s best friend, Tyler Rutherford, gets bent out of shape, too, as he’s always wanted Skye for himself. When Kellin and Skye attend one of Tyler’s famous parties, neither senses the impending disaster. Afterwards Skye is left with consequences that will change not only her life but also that of everyone who loves her. 1. It was recommended to be by a dear friend whose opinion I trust, and she swore she couldn't get it out of her head. 2. It's all about the romance. You can tell that right away. And I love a good romance. 3. Because of insider info, I happen to know it's not a light-hearted romance, but rather one that may be disturbing and graphic at times. And who doesn't like a good twisted story now-and-then? Alright--your turn! What's on your TBR list?